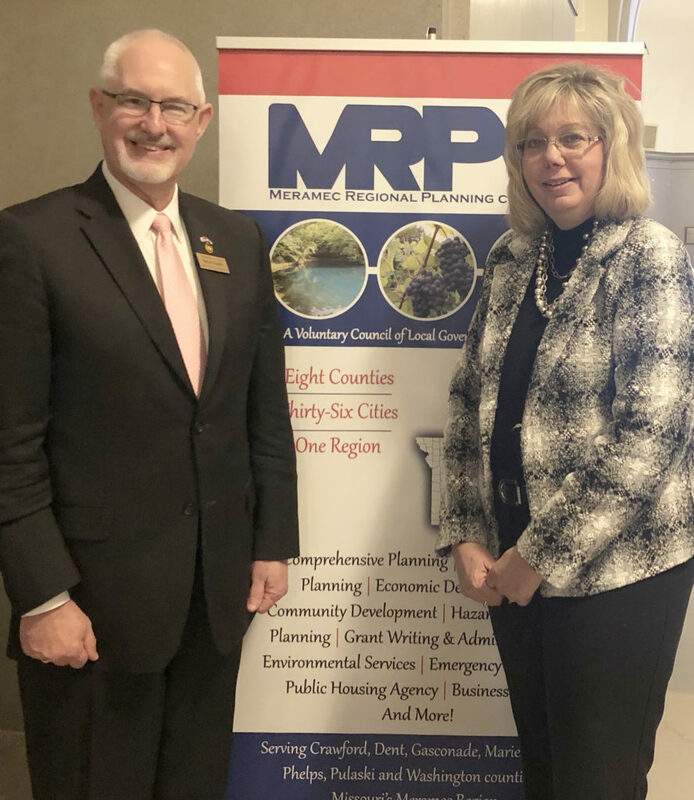 During the event, MRPC board and staff shared MRPC’s 2019 state legislative priorities, as set by the board, with the 13 state legislators representing residents in MRPC’s eight-county region. MRPC board members speak with various state legislators about the regions priorities for state legislation, while enjoying some lunch. Rep. Steve Lynch, left, poses with MRPC Executive Director Bonnie Prigge for a picture. Rep. Lynch serves District 122, the most southern half of Pulaski County. 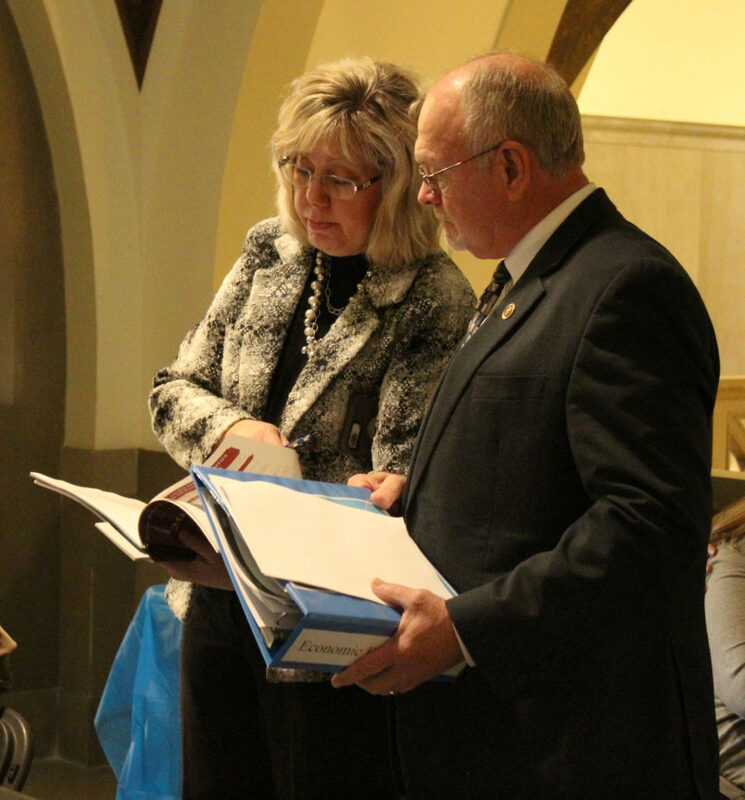 MRPC Executive Director Bonnie Prigge and Sen. Gary Romine discuss MRPC’s state priorities. The MRPC board prioritizes those issues most important to the region, in the areas of transportation, economic development, health care and social service, environmental, education, local government and general concerns. Sen. Romine serves Senate District 3, which includes six counties, including Washington County in the Meramec Region. 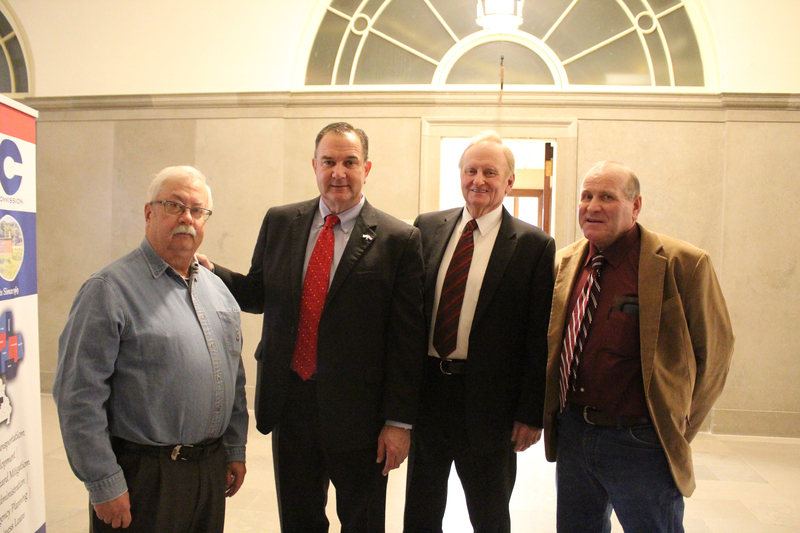 After lunch, MRPC board members and staff visited the offices of the legislators. 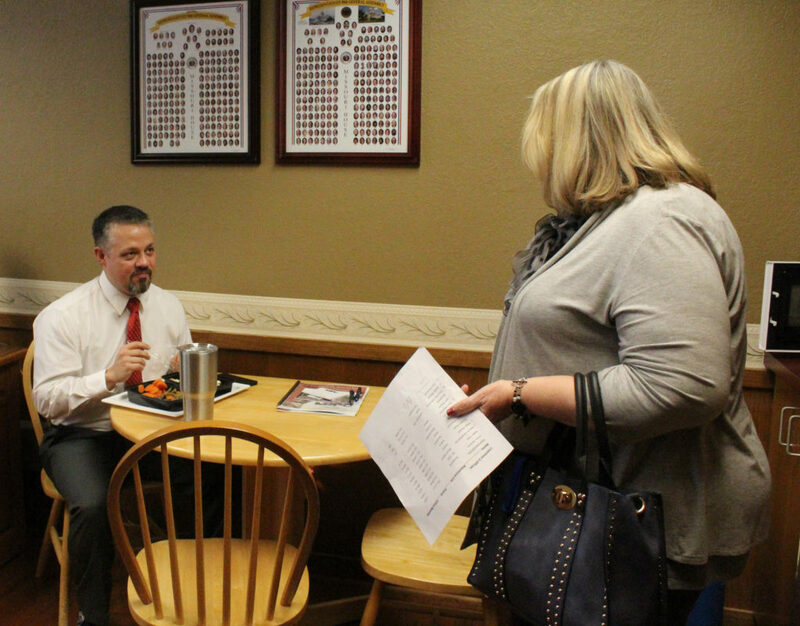 Here, MRPC Assistant Director Tammy Snodgrass, right, visits with Rep. Jason Chipman prior to a committee meeting. Rep. Chipman serves District 120, which includes parts of Crawford and Phelps counties. 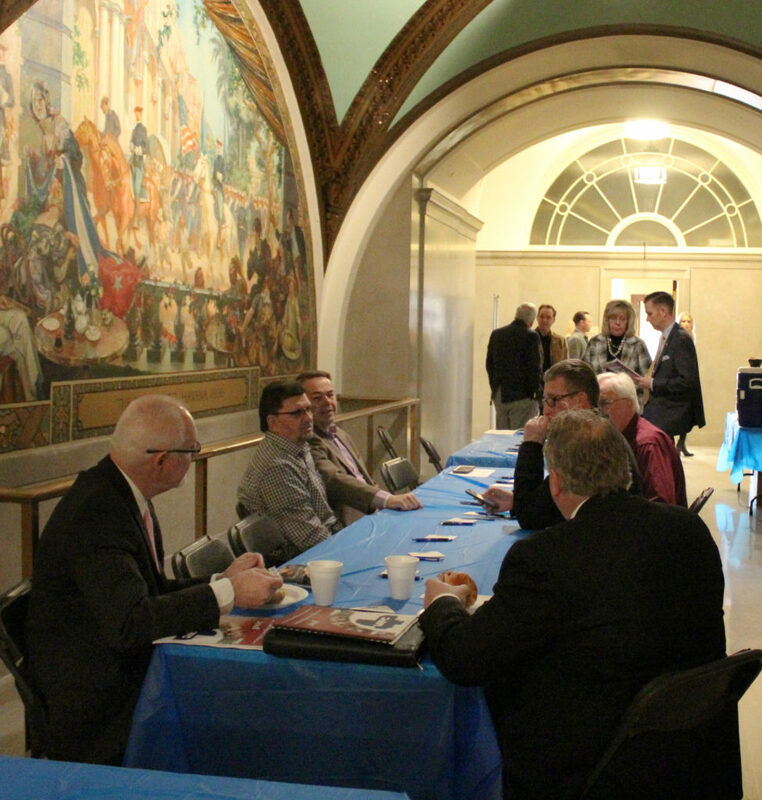 Those who participated in the MRPC Day at the Capitol were (left to right) Gasconade County Board Member Ron Kraettli, Dent County Presiding Commissioner Darryl Skiles, MRPC Labor Representative Shane Anselm, MRPC Assistant Director Tammy Snodgrass, St. James Mayor Jim White, MRPC Executive Director Bonnie Prigge, Maries County Board Member Ray Schwartze, MRPC Chairman and Gasconade County Presiding Commissioner Larry Miskel, Hermann City Administrator Mark Wallace, MRPC Vice Chair and City of Belle representative Steve Vogt, City of Steelville representative Sharon Hubbard, MRPC Planning Manager Kelly Sink-Blair, Gary Heldt of Hermann and Maries County Presiding Commissioner Victor Stratman.